At Local Moving LLC, we recognize the value in excellent client service. Customers need to be sure that they can trust the guys safeguarding their personal belongings and resources while they're moving. With Local Moving LLC, individuals have a one of a kind opportunity to become more acquainted with their movers before the huge day. Every one of our movers has a personal profile available to the public on our website. We genuinely understand that easing your stress during a major life change is vitally important. Another way we give remarkable service is by maintaining a dependable and trustworthy reputation on review sites like Google/Yelp/Bing/Angie's/BBB, and many more. We have totaled more 5-star reviews than probably all the other moving companies, not to brag, but because we are steady, reliable, and dependable. We don't sit around idly – we take care of business. Local Moving LLC's employees are not conventional movers. They are required to have an advanced experience and extensive training before making it on staff with our moving company. Our staff exceeds expectations in client service and proficient moving. When they complete their training with us, they are not just taught, they are experienced. We know that quality service starts with quality employees. Local Moving LLC always aims at making moving as swift and bother free as can be. Our simple quote system saves lots of time and money for our customers. We absolutely never have add-on or hidden fees like so many other moving companies. Customers are never shocked when they get the bill. Our movers are paid for the time they are moving, and just for whatever length of time that the client needs and delegates. A set cost on the customer's timetable keeps things reasonable and square. Local Moving LLC offers residential moving services and in addition, office and corporate moves. Some of the reasons why we spend so much time putting resources into our workers are to ensure they can deal with the anxiety and desires of moving on a vast scale. 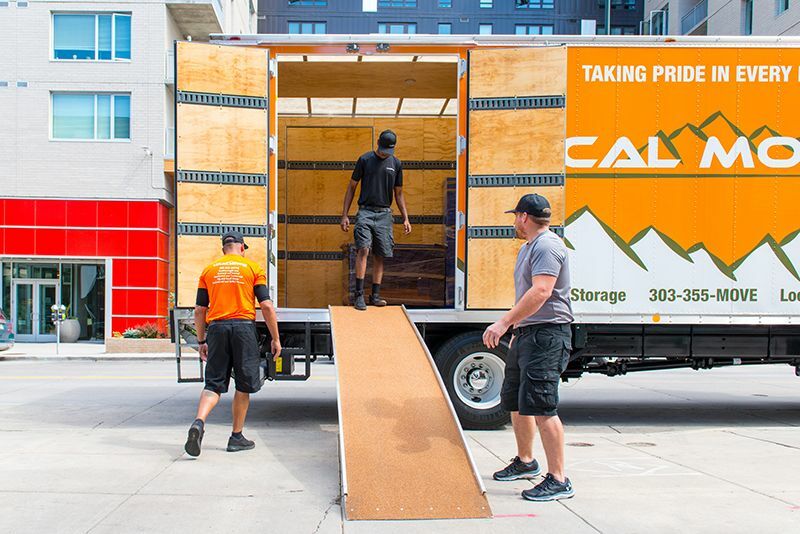 With such a significant amount in question amid a move, Local Moving LLC goes above and beyond conventional moving expectation, putting our services at the highest point of the moving industry for a reasonable price. We are committed to making each move a positive experience for our customers, because want you to be thrilled enough to tell your friends and family when it's time for them to pick out a moving company. Copyright © 2015-2018 Local Moving, LLC | Denver, CO. All Rights Reserved.